Remember when you’re growing up and start facing situations where you have to know your social security number? And every time you call your mom and ask her what it is? And you start to wonder what the deal is with this number and eventually give in to memorizing it? That is what this recipe is. Just tattoo it on your brain forever. 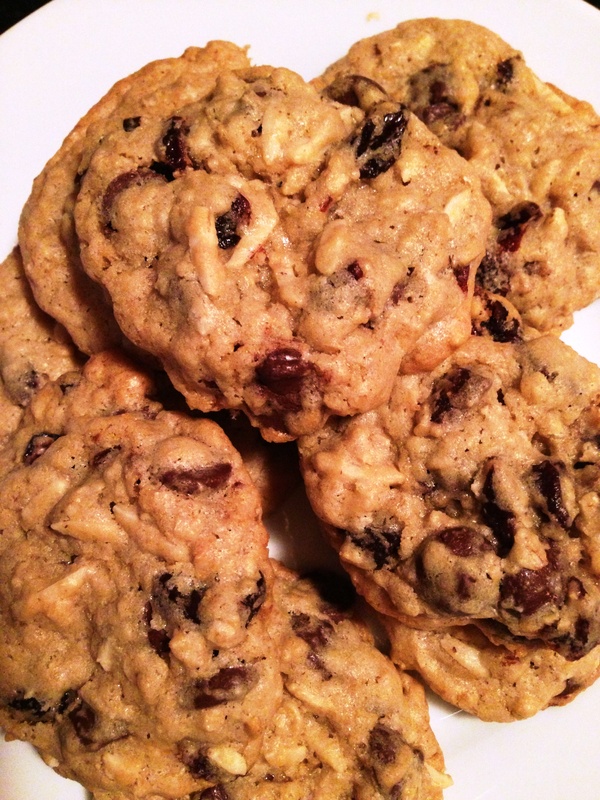 It’s nothing fancy- I’m not asking you to buy a weird flour or special all natural sweetener here—these are just go to delicious cookies. And unlike your social security number- you can add or subtract from this oatmeal based cookie to create a number of treats. 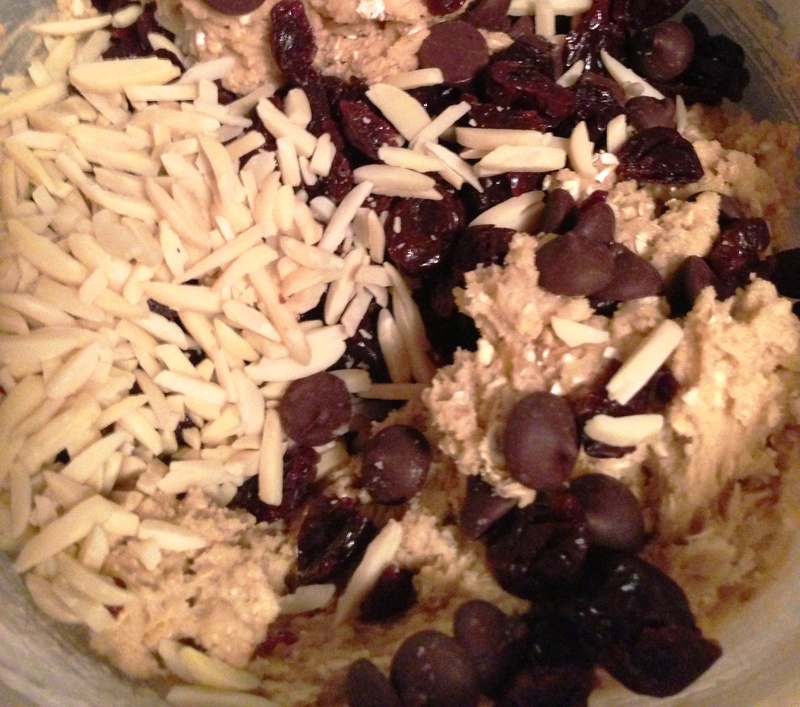 Today’s is Dark Chocolate Oatmeal Cherry and Almond. 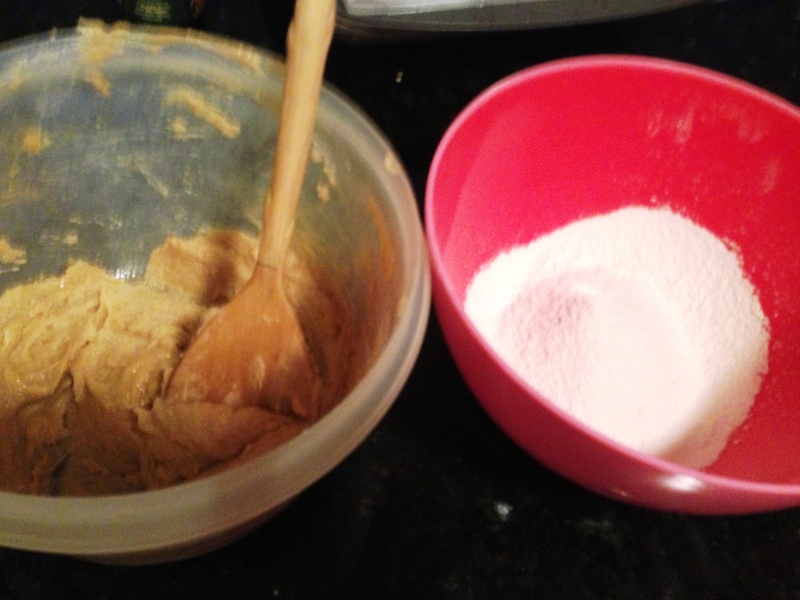 Sift together 1 cup of flour, 0.5 teaspoon baking soda and 0.25 teaspoon of kosher salt. In a separate bowl mix 1.25 sticks of room temp butter, 0.5 cup sugar and 0.5 cup brown sugar (you could use beaters for this but I found a spoon requires less to wash). Add one egg, 1 teaspoon of vanilla extract and 0.5 teaspoon of almond extract. Now add the flour mixture to this. Add 1 cup of old fashioned oats and then 3 cups of whatever you want. 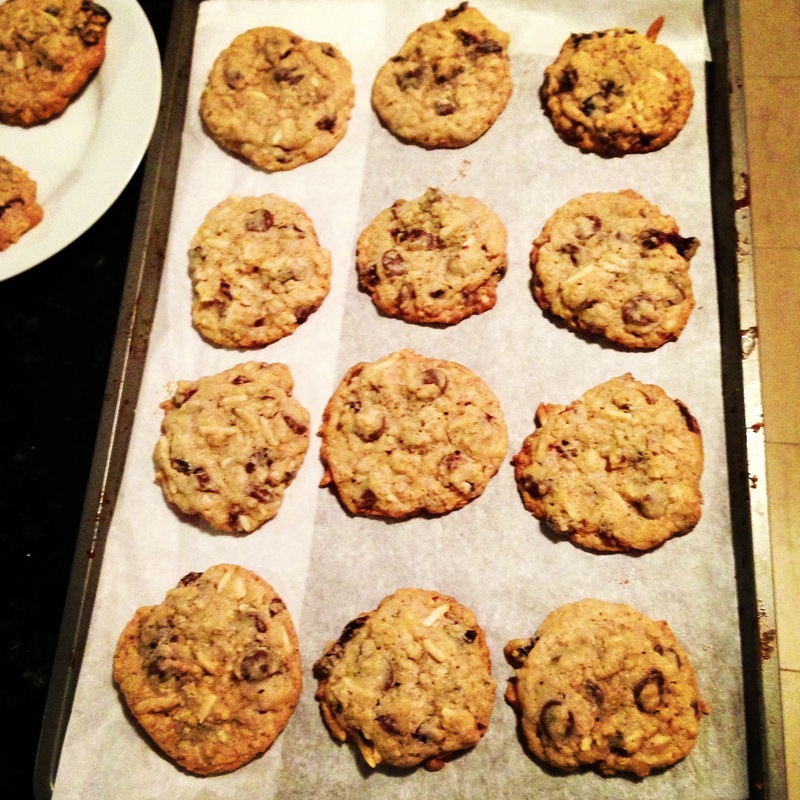 I did 1.5 cups dark chocolate chips, 1 cups dried cherries (that I chopped up a bit) and 0.5 cup slivered almonds. 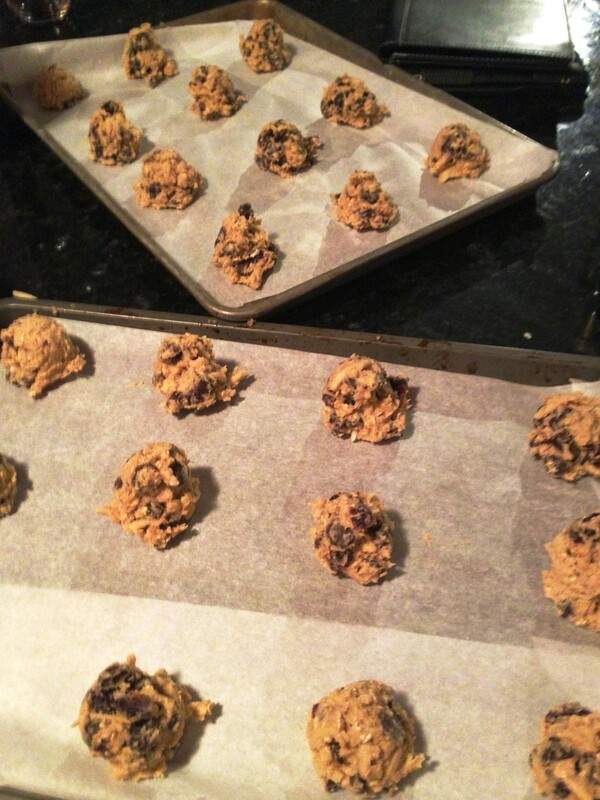 Drop dough onto two parchment paper lined baking sheets. Bake for 12 minutes at 325 (switch them half way through if they are on different racks which will they will be unless you have an industrial sized oven which means you are awesome). Do not over bake these even though you will think they are not done after 12 minutes- that’s why these are so chewy and amazing once they cool.